New day new project seems like for me. 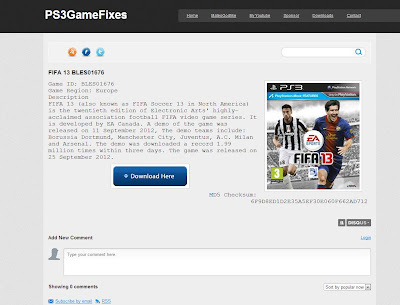 Today I bring PS3GameFixes a new website hosting all game fixes for Custom firmware straight from my Mediafire account. As for now we only have about 6 fixes posts and will soon have all of them up and running.